Dec 15, 2018 - Herzog group celebrates first PhD Graduates! 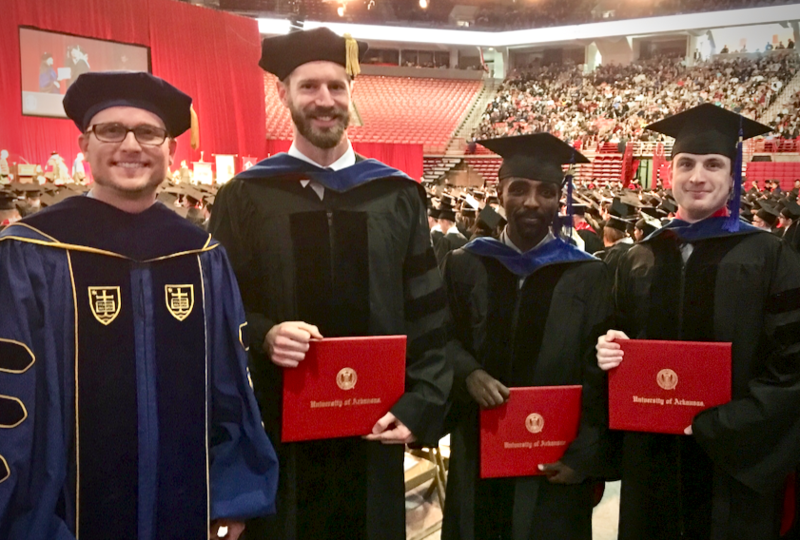 - Stephen, David, and Desalegn celebrated sucessfully defending there PhD dissertations at the Arkansas Fall Commencement. Dr. Herzog was able to join them from Indianapolis to hood them all. Well done all, and congrats! Dr. Herzog, Dr. Bauman, Dr. Debu, and Dr. French. Nov 16, 2018 - New undergraduates join Dr. Herzog's group - Undergraduate students at the University of Indianapolis have joined Dr. Herzog's research group. The new group members are Mile Furr, a sophomore majoring in Software Engineering and Computer Science, and Meredith Magee, a freshman majoring in Software Engineering. Welcome aboard! Nov 13, 2018 - David passes his dissertation defense! - Great job, David! David passed his dissertation defense! Well done! Nov 5, 2018 - Stephen passes dissertation defense! - Well done Stephen! Great job on all of your hard work. You have earned it. Cheers! Oct 9, 2018 - Ahmad's recent paper has been published in Nanomaterials - Ahmad Darweesh has published his recent research in Nanomaterials. 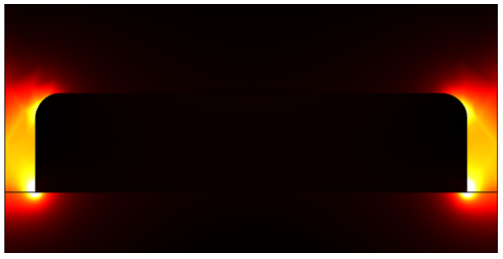 The work is titled The Role of Rayleigh-Wood Anomalies and Surface Plasmons in Optical Enhancement for Nano-Gratings. Well done, Ahmad and other group members, Cheers! Sept 18, 2018 - Chris's work has been accepted for publication - Chris Klenke, an undergraduate student working in the Herzog Group during summer 2018, has recently published his work while he was a participant in the National Science Foundation (NSF) Research Experience for Undergraduates (REU) through the microEP program at the University of Arkansas. The work titled Dataset for SERS Plasmonic Array: Width, Spacing, and Thin Film Oxide Thickness Optimization was published in Data. Aug 20, 2018 - Dr. Herzog officially starts new position at the University of Indianapolis - Dr. Herzog has been given an amazing opportunity to be part of the new R.B. Annis School of Engineering at the University of Indianapolis. While he will miss his colleagues at the University of Arkansas, he is excited to be part of the UIndy community! Aug 17, 2018 - Tobi presents his work at SPIE O+P 2018 and receives award - Oluwatobi Tobi Olorunsola, a member of the Herzog Group from Jan - Aug 2018, presented work from the lab at the 2018 SPIE Optics + Photonics conference. A proceeding article on his talk titled Localized surface plasmons on periodic monolayer black phosphorene nanoribbons tuned in the infrared region with a dielectric substrate has been published online. While at the conference Tobi was also awarded the MKS Instruments Research Excellence Travel Award; see UARK press release here. Tobi along with Abayomi Omolewu, the current president of the SPIE Arkansas Laserbacks Student Chapter, attended the Student Leadership Workshop before the conference. Abayomi Omolewu, left, and Oluwatobi Tobi Olorunsola. Aug 10, 2018 - Desalegn passed dissertation defense! - Congrats to Desalegn on his hard work! He has passed his dissertation defiense! One big step closer to obtaining his PhD. Cheers and well done! You deserve it! June 4, 2018 - New Article Published - Group published new work with Zach as lead author. The paper titled Plasmonic Au Array SERS Substrate with Optimized Thin Film Oxide Substrate Layer was published in Materials. May 13, 2018 - Ahmad presents research at OSA conference - Ahmad presented his work at the OSA CLEO conference in San Jose California. His presentation was titled Impact of Tapered Nano-Slits Grating on The Optical Enhancement of Photo-Sensing Devices. May 11, 2018 - Graduate students selected for DOD research internships - David and Stephen will work this summer at two different Department of Defense research labs. David accepted a position to work at Eglin Air Force Base in Florida as part of the Air Force Research Laboratory Scholars Program, and Stephen will return to the Naval Research Lab this summer as part of the Naval Research Enterprise Internship Program (NREIP). Mar 5, 2018 - Students Present at APS March Meeting - David and Stephen present their research at APS March meeting. David presented on Plasmonic Effects on Photobrightening in Cadmium-Selenide Quantum Dots , and Stephen presented Importance of oxide layer in plasmonic structures for optical enhancement applications. Feb 26, 2018 - Article accepted in Journal of Lightwave Technology - Ahmad Darweesh and collaborators work has recently been accepted in Journal of Lightwave Technology. The title of the work is Current Density Contribution to Plasmonic Enhancement Effects in Metal-Semiconductor-Metal Photodetectors. Congrats to Ahmad and others in the lab for the hard work! Cheers! Feb 19, 2018 - Paper published in Scientific Reports - Desalegn Debu and others in the Herzog lab recently published an article in Scientific Reports, titled Tuning Infrared Plasmon Resonance of Black Phosphorene Nanoribbon with a Dielectric Interface. The study investigates the plasmonic characteristics of periodic 2D Black Phosphorene materials. Well done and congrats to Desalegn and other students authors: Stephen and David! Press Release. Jan 2, 2018 - Article published in JM3 - A work led by Stephen Bauman, Fabrication and analysis of metallic nanoslit structures: advancements in the nanomasking method, has been published in the Journal of Micro/Nanolithography, MEMS, and MOEMS (JM3). Other group members who helped contribute to this work include Ahmad Darweesh and Desalegn Debu. Well done! Oct 18, 2017 - Now Hiring: Postdoctoral Fellow in Plasmonic Nano Optics - I am now hiring a postdoc. If you are interested in working with me, apply online by the 11/30/17 deadline. Please send this info along to those in your group and anyone else who may be qualified and interested in applying. Oct 15, 2017 - Article accepted for publication in Applied Physics Letters - Work by students Ahmad Nusir, Stephen Bauman, and Mohammed Marie titled Silicon nanowires to enhance the performance of self-powered near-infrared photodetectors with asymmetrical Schottky contacts was recently accepted with APL. This work was in collaboration with Ahmad and Mohammed who are graduate student with Dr. Omar Manasreh in the Department of Electrical Engineering. Great job on the hard work! Sept 20, 2017 - Students present at OSA conference - Desalegn and Ahmad present their latest research at the Optical Society of America (OSA) conference, Frontiers in Optics 2017, in Washington, DC. Desalegn presented Periodic Black Phosphorene Nanoribbons Infrared Edge Plasmon Enhanced Absorbance, [PDF], and Ahmad's presentation was titled Dual-width Plasmonic Nanogap Gratings electrodes for GaAs Metal-Semiconductor-Metal Photodetectors Enhancement, [PDF]. Sept 14, 2017 - Cathodoluminescence imaging of plasmonic nanostructures - Stephen's latest results, Plasmonic nanogap structures studied via cathodoluminescence imaging, are now available online in SPIE proceedings. Stephen presented these results at the SPIE Optics + Photonics conference in August. Aug 21, 2017 - Eclipse Outreach - While many traveled to see the total eclipse in Missouri and elsewhere, members of the Arkansas Laserbacks (SPIE/OSA student chapter) and Dr. Herzog provided outreach to students on the first day of classes. He brought a telescope to project the sun on the sidewalk for all to see and take photos of the eclipse. During the peak in Fayetteville, the sun had ~90% coverage, and outside temperatures dropped 3 degrees. Aug 10, 2017 - Herzog Group at SPIE - This week members of the Herzog Lab participated in SPIE Optics + Photonics 2017, perhaps the annual conference with the most plasmonic research represented. David participated in the SPIE student leadership workshop, and Stephen presented his work Plasmonic nanogap structures studied via cathodoluminescence imaging. Jul 10, 2017 - Herzog appointed faculty fellow at the NRL - Dr. Herzog has been spending his time this summer collaborating with experts in Washington, DC, at the U.S. Naval Research Laboratory (NRL), one of the top research institutes in nanotechnology, as part of the Office of Naval Research Summer Faculty Research Program. For more info, read the newswire article about his appointment here. Jun 30, 2017 - New publication is now online - Congrats to Stephen, Zach, and Ahmad for publishing their work in Sensors. The article titled Substrate Oxide Layer Thickness Optimization for a Dual-Width Plasmonic Grating for Surface-Enhanced Raman Spectroscopy (SERS) Biosensor Applications shows the importance of oxide layer thickness is plasmonic sensors and devices. May 9, 2017 - New Article Published in PLOS ONE - Pijush Ghosh, Desalegn Debu, and David French have each worked hard to get out their recent article titled Calculated thickness dependent plasmonic properties of gold nanobars in the visible to near-infrared light regime. This paper was accepted and published in PLOS ONE. Congrats to the students on their hard work and interesting results. See newswire article about this here. Apr 13, 2017 - New Lab Space Available - The Herzog Lab will soon be moving to PHYS 106. This space is now available for the group to begin preparation for the new lab location. The first phase of preparation includes finishing the ceiling, electrical work, optical table shelf construction, and laser curtain installation. After this work is finished, we will complete the move into the new space. Apr 12, 2017 - Herzog receives Endowed Connor Faculty Fellowship - Dr. Herzog has been awarded the Robert C. and Sandra Connor Endowed Faculty Fellowship Award presented by the Office of the Dean of the J. William Fulbright College of Arts and Sciences at the University of Arkansas. The award is given to faculty who have made excellent contributions to the college and their departments and helps to retain faculty members who are setting new standards of teaching, research and service at the University of Arkansas. Much thanks to the Connors for their generous support of the University. Read more here. Mar 29, 2017 - Group publishes new article first-authored by undergraduate Zach - Group members Zach Brawley, Stephen Bauman, Ahmad Darweesh, and Grant Abbey have recently published their work on plasmonic enhancement in GaAs photodetectors titled Modeling and optimization of Au-GaAs plasmonic nanoslit array structures for enhanced near-infrared photodetector applications. Zach is an undergraduate senior at UCA and was an NSF REU with Dr. Herzog in the summer of 2016 through the Department of Physics. The article was recently published in the Journal of Nanophotonics and is now available online. Zach also recently received an award at the APS march meeting for his presentation he gave there on this work. Mar 23, 2017 - Students selected for Naval Research Program - Four Herzog lab members have been selected to participate in the 2017 Office of Naval Research (ONR) Naval Research Enterprise Internship Program (NREIP) this summer. The four students include Stephen Bauman, Zach Brawley, David French, and Madison Whitby. All are currently active group members of the Herzog Lab. Read more on the University of Arkansas Press Release. Mar 14, 2017 - Zach honored at APS conference - Zach Brawley was honored at the American Physical Society (APS) March Meeting in New Orleans for giving one of the best undergraduate presentations on his research from the when he was an REU in the Herzog lab. Mar 7, 2017 - Group members to present at APS in New Orleans - Two graduate students and one undergrad from the summer REU program at the University of Arkansas will present their latest results at the American Physical Society (APS) March Meeting in New Orleans. Thursday 1:15 PM, Room 297 - Stephen Bauman et al., Optimization of dual-width plasmonic nanogap gratings with substrate thickness for optical enhancement applications. Dec 6, 2016 - Desalegn, Pijush, and David publish article in Optical Materials Express - A project lead by Desalegn Debu titled Surface plasmon damping effects due to Ti adhesion layer in individual gold nanodisks has been published in the Optical Materials Express, a journal published by OSA. Graduate students Pijush and David were also co-authors on the publication. Great work students! Nov 16, 2016 - Saeed, Stephen, and Jonathan published article on Photonic crystals - Work on two-dimensional photonic crystals titled Calculation of reflectivity spectra for semi-infinite two-dimensional photonic crystals has been published in the Journal of Nanophotonics. Work was lead by graduate students Saeed and Stephen, and undergraduate Jonathan Mishler also made significant contributions to the paper. Congratulations to the students on their hard work! Oct 22, 2016 - Zach presents work at Rice University conference - Zach Brawley was selected to present his research at the Gulf Coast Undergraduate Research Symposium hosted by Rice University in Houston, TX. He traveled down there with Dr. Herzog. Oct 20, 2016 - Bauman presenting research at OSA conference - Stephen Bauman will presenting the latest research from the group at the OSA Frontiers in Optics Conference in Rochester, New York. If you are upstate, go see his presentation on Thursday morning at 9:30 AM. Oct 7, 2016 - Articles now available online - Herzog group SPIE proceeding articles are now available online. Visit Herzog Group publication page for links. Sep 21, 2016 - Publication in the news - News article about Photonics Research publication released online. Congrats to Ahmad and Stephen for their hard work! Sep 8, 2016 - New Undergraduates join group. - Three new undergraduate join group. Ana and Nessin both joined in late July of this year, and Madison started in this lab in August. Welcome aboard! Sep 1, 2016 - New Article! 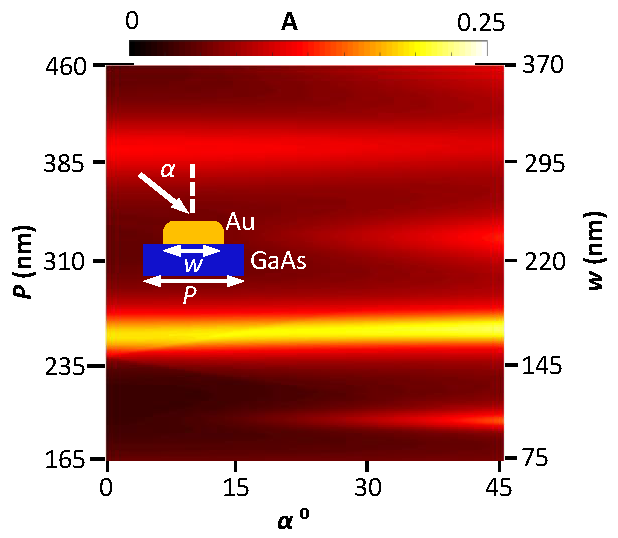 - Ahmad and Stephen's study on dual-width nanogap plasmonic gratings has been published online in Photonic Research (OSA). Congrats on their hard work! Aug 28-31, 2016 - Group members presenting at SPIE Optics and Photonics Conference - Stephen and Ahmad will be presenting their latest work at international conference on optics and photonics. This conference has one of the largest presence of plasmonic research which 187 other talks related to plasmonics this year. July 26, 2016 - End of Summer Photo - Herzog Group gathers to celebrate Pijush for his defense success and to wish farewell to those members moving on. July 13, 2016 - New Publication - Article titled Hot Electrons in Microscale Thin-Film Schottky Barriers for Enhancing Near-Infrared Detection is now available online with IEEE Photonics Technology Letters. Authors include: Ahmad Nusir (EE), Grant P. Abbey (undergrad), Avery M. Hill (undergrad), Omar Manasreh (EE), and J. B. Herzog. Thanks everyone for all the hard work, especially Ahmad Nusir. Cheers! July 11, 2016 - Pijush passes his Master Thesis defense! - Congrats to Pijush for working hard and passing he Master Thesis defense. Great job! June 15, 2016 - Bauman Awarded SPIE scholarship - Stephen Bauman has been awarded the 2016 SPIE Optics and Photonics Education Scholarship. Congrats on his hard work. He has earned this. June 2, 2016 - Dr. Herzog offered tenure-track position! - Dr. Herzog has been offered and has accepted a tenure-track position here in the Department of Physics. I am happy to be part of this department and part of the University of Arkansas; thank you for this opportunity! I look forward to my future here. May 23, 2016 - Welcome REUs! - Two REU students have joined the Herzog lab this summer. Zach Brawley is part of the Physics REU program. He comes from University of Central Arkansas, and Cahndler Bernard from Troy University is part of the MicroEP REU program. Welcome! For more info see the Group Members page. May 3, 2016 - Herzog invited to speak at Missouri State University - Dr. Herzog was invited to talk about his research at the Department of Physics Astronomy and Materials Science at Missouri State University. Thanks for the invitation. I enjoyed my time at Missouri State University and learning about all of the exciting research happening there. May 19, 2016 - Congrats to Grads! End of Spring, Beginning of Summer - Congrats to Gabi and Avery, both graduating with B.S. in 2016! Apr 25, 2016 - J. B. Herzog Awarded 2016 Faculty Gold Medal - Dr. J. B. Herzog was awarded the 2016 Faculty Gold Medal award by the University of Arkansas Office of Nationally Competitive Awards for his outstanding research mentorship of students. Mar 18, 2016 - Pijush and Desalegn present work at APS - Pijush and Desalegn represent Herzog Lab at APS March Meeting 2016. Feb 17, 2016 - Herzog Lab representatives at SPIE Photonics West 2016 - A very productive and successful conference at Photonics West in San Francisco. Dec 16, 2015 - David French's abstract accepted at Defense + Commercial Sensing Conference - David's presentation titled Plasmonic resonance shift for various nanodevice geometries will take place on April 20, 2016 at the SPIE Defense + Commercial Sensing conference in Baltimore, MD. Nov 23, 2015 - Gabi awarded SURF Grant! - Gabi's honor's thesis project has been selected for the Student Undergraduate Research Fellowship (SURF) sponsored by the Arkansas Department of Higher Education. Title of research project is Optical Characterization and Enhancement of Photoluminescent Nanoscale Semiconductors. Nov 7, 2015 - Gabi wins first place award! - Congrats to Gabi on her hard work in research and preparing for the oral presentation! This is the second year in a row an undergraduate from Dr. Herzog's lab has won first place at INBRE for Physics. Nov 6, 2015 - We have Raman! - Our Raman spectroscopy is now fully operational. These initial results of bulk Silicon are the first step for surface enhanced Raman spectroscopy. Funding from the Arkansas Biosciences Institute has sponsored a SERS project for biological sensing applications. We are on track with the project timeline. Thanks to Stephen and David for the work aligning and completing this setup. August 28, 2015 - News article about Herzog's ABI grant - The University of Arkansas's Newswire published a press release about the Arkansas Biosciences Institute grant Awardees. See article here: Arkansas Biosciences Institute Awards $1.58 Million in Grants to U of A Researchers. August 13, 2015 - Cameron's article accepted for publication! - Cameron's manuscript titled Investigation of maximum optical enhancement in single gold nanowires and triple nanowire arrays has been accepted for publication in the Journal of Nanophotonics (JNP). The results in this work were part of Cameron's undergraduate honors thesis and part of Eric Novak's summer REU work. Physics Graduate student Desalegn is also one of the co-authors of this work. Article is now in press, and a link to the article will be posted here once it becomes available. Congrats to the students for their hard work! August 11, 2015 - Herzog Group at SPIE Optics and Photonics 2015 - Three Herzog Group members presented at the SPIE Optics and Photonics conference in San Diego, CA. Student Chapter officers also attended the Leadership Workshop. From Left to Right: Gabi, Stephen, Saeed, and Dr. Herzog. 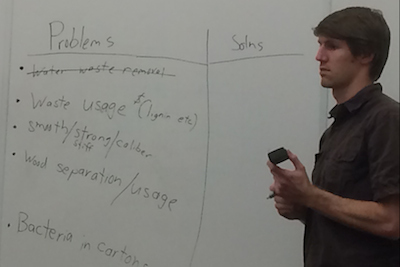 July 24, 2015 - End of Summer REU - Another successful summer of REUs has come to an end. It was great having Grant in Gabi around this summer and I look forward to future collaborations with them. From Left to Right: Pijush, Saeed, Grant (REU), Ahmad, Stephen, Gabi (REU), Dr. Herzog. July 23, 2015 - Bauman's recent publication available online - Stephen's recent publication titled Fabrication of sub-lithography-limited structures via Nanomasking technique for plasmonic enhancement applications is now available online as a proof in IEEE Transactions on Nanotechnology. July 7, 2015 - Bauman awarded SPIE scholarship - Congrats to Stephen Bauman who has been awarded the 2015 Optics and Photonics Education Scholarship from SPIE. Here is SPIE press release, and here is a link to the University of Arkansas Newswire article. June 23, 2015 - Herzog awarded ABI grant - Dr. Herzog's proposal titled Large-area production of plasmonic nanostructures for enhanced biomedical spectroscopic sensors has been awarded a grant funded by the Arkansas Biosciences Institute, the major research component of the Arkansas Tobacco Settlement Proceeds Act of 2000. June 22, 2015 - Bauman passes masters thesis defense - Congrats to Stephen Bauman on his hard work. He has passed his Master Thesis defense! May 18, 2015 - REU students join group for the summer - Two students will be working in the Herzog lab this summer as NSF REU students. Grant Abbey joins the group from Mississippi State University, and Gabi Abraham will be continuing from here (the U of A). May 9, 2015 - French earns Masters! - David French graduates with Master's Degree. Congrats to David on this accomplishment! May 8, 2015 - Cameron graduates with Honors - Cameron Saylor has received his Bachelor's degree and graduated with honors. He will be starting graduate school in the Fall at UC Davis.! May 1, 2015 - Herzog Group end-of-the-year brunch - To celebrate a successful year, the Herzog lab enjoys a brunch. Thank you students for all of the hard work. 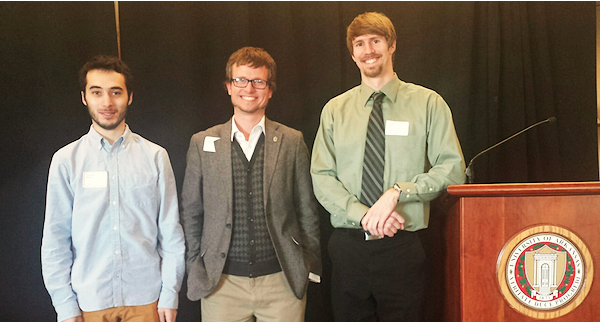 April 23, 2015 - Group members honored at Awards Ceremony - Jonathan Mishler, Stephen Bauman, and Dr. Herzog were honored by the Office of the Provost and the Office of Nationally Competitive Awards at the 2015 Annual State and National Awards Reception. Jonathan was honored for receiving his SURF fellowship. Stephen was honored for receiving an NSF GRFP honorable mention, and Dr. Herzog was honored for being their Outstanding Mentor. Picture from event is below. April 20, 2015 - Article accepted for publication - Paper titled Enhanced light trapping and plasmonic properties of aluminum nanorods fabricated by glancing angle deposition has been accepted for publication. This work was in collaboration with researchers in Dr. T. Karabacak's group at UALR. April 2, 2015 - Cameron accepted into Graduate School at UC Davis - Cameron Saylor, senior in the Herzog lab has accepted an offer for the graduate program at University of California, Davis. Congrats! March 30, 2015 - Gabi selected for NSF REU - Undergraduate group member Gabi Abraham has been selected as a National Science Foundation REU program with the University of Arkansas Department of Physics for summer 2015. Congrats! March 11, 2015 - Avery receives summer internship at Zeeco - Undergraduate group member Avery Hill has accepted an offer as a Combustion Engineer Intern at Zeeco for summer 2015. Congrats! March 10, 2015 - Baltz selected for NSF REU at MSU - Undergraduate group member Michael Baltz has been selected for a National Science Foundation Research Experience for Undegraduates Program in the Department of Physics and Astronomy at Michigan State University for summer 2015. Congrats! 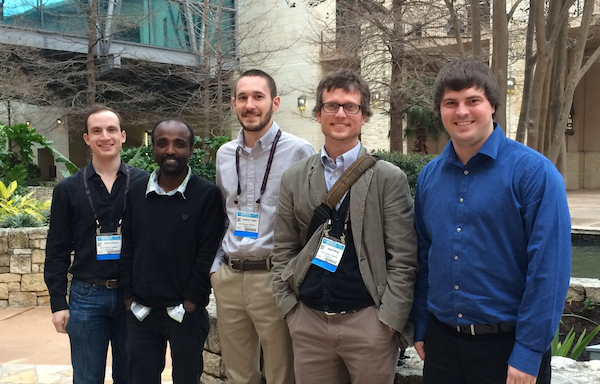 March 2-6, 2015 - Herzog group members at APS - Some members of the Herzog Lab presented their current research at the APS March Meeting. Note: Jonathan Mishler was also there and presented, but missed the photo op. March 1, 2015 - Jonathan Mishler selected for NIH post baccalaureate - Jonathan Mishler, undergraduate researcher in the Herzog Lab has been selected for the Postbaccalaureate IRTA program at the National Institutes of Health. Congrats! February 28, 2015 - Desalegn Passes Candidacy Exams - Desalegn's hard studying has paid off. Congrats on passing the Physics Candidacy Exam! Feb 16 (closed all day), Feb 17, Feb 24, Mar 4, and Mar 5 (day partially canceled). January 26, 2015 - Hill awarded second Honors College Research Grant - Avery Hill has been awarded his second honors college research grant. The new grant will fund Avery's research this Spring 2015 and Fall 2015 on plasmonic photodetectors. January 14, 2015 - French passes Candidacy Exams - David French has passed his final Candidacy Exam in the Physics Department. Congrats! January 14, 2015 - New members join group - Michael Baltz and undergraduate junior in the Honors program has joined the research group. Additionally, two graduate students are part of the group this semester as visiting graduate students: Pijush Ghosh and Ahmad Darweesh. For more info, see the complete research group roster here: Group Members. January 13, 2015 - SPIE student chapter - Arkansas Laserbacks - The recently formed SPIE student chapter of the University of Arkansas now has a facebook page. January 12, 2015 - Classes Begin - Welcome back students! December 12, 2014 - Avery's article has been published. - Avery's work modeling the plasmonic properties of photodetectors has been accepted for publication and is now available online. Congrats on his hard work and the work of our collaborators Ahmad and Dr. Manasreh. November 24, 2014 - Jonathan Mishler awarded SURF Award - Jonathan Mishler has been chosen as a recipient of the Student Undergraduate Reserach Fellowship (SURF) program for Spring 2015 on his work studying the optical properties of Diatoms. The SURF program is funded by the Arkansas Department of Higher Education. November 20, 2014 - Dr. Herzog awarded Collaborative Research Grant - In collaboration with Dr. Alverson in Biological Sciences, Dr. Herzog was awarded the Collaborative Research Grant. The title of the project is Biomimetic Photonic Crystals based on the Silicon Cell Walls of Diatom Algae. Thanks to senior undergraduate, Jon Mishler, for all of his hard work on this project. November 8, 2014 - Successful INBRE conference - In addition to Avery Placing first for his presentation. Other members in the group also had successful presentation: Saeed, Desalegn, Stephen, and Dr. Herzog. Photos of the event are posted here. November 8, 2014 - Avery wins first place oral presentation! - Junior undergraduate, Avery Hill, wins first place oral presentation. He presented his work that analyzed the optical and plasmonic properties of metal-semiconductor-metal photodetectors. A special thanks to our collaborators on this project: Ahmad Nusir and Dr. Manasreh in the Electrical Engineering department. - J. Mishler - S. Bauman - D. Debu - S. Sarollahi. 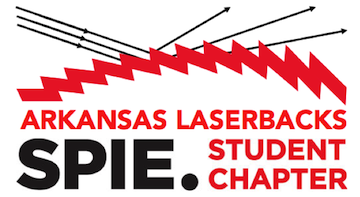 October 2, 2014 - SPIE student chapter formed: Arkansas Laserbacks! - We have had our first meeting and have been awarded an activity grant from SPIE. If you would like to join the group, contact the student chapter president, Avery Hill (amh029). 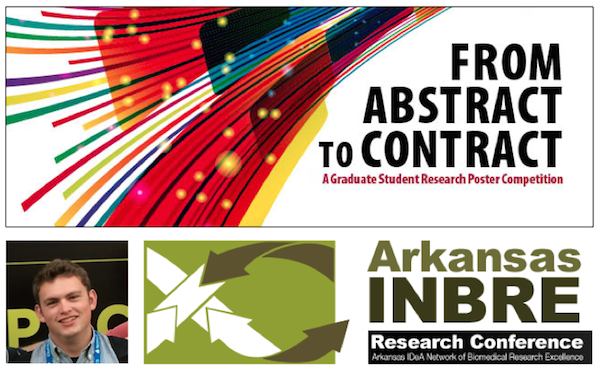 Nov 7 - Arkansas INBRE Research Conference,, Fayetteville, AR. Nov 12 - LI/LA-SiGMA Seminar Series, LSU, Baton Rouge, LA. Herzog Invited AR/LA Boot Tour, November 2014! 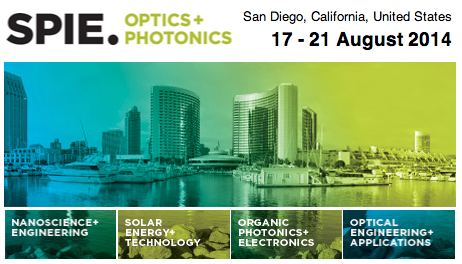 August 17, 2014 - Group members attend Optics + Photonics Conference - Group members will be attending and presenting at the SPIE Optics + Photonics Conference in San Diego, CA. Come to our presentations to see out latest research. August 1, 2014 - Saeed joins research group - After a brief trial period, Saeed Sarollahi has joined the Herzog Lab. Saeed will be starting as a first-year graduate student in the microEP program this month, and he plans to do computational research on photonic crystal waveguides. July 23, 2014 - Eric Novak presents research at seminar - Eric Novak, a microEP REU student who joined the lab this summer presented the results of his summer research at the end of the year seminar. Eric did excellent plasmonic research this summer, and contributed as a co-author to Stephen's SPIE paper that will be presented in August. See Video 2 to view an example of his results. June 10, 2014 - Another abstract accepted at SPIE conference - Avery's paper titled Computational electromagnetic study of plasmonic effects in interdigital arrays has been accepted and he will present in San Diego in August at SPIE Optics + Photonics. May 19, 2014 - Summer begins with new lab members - Paul Nguyen and Eric Novak join Herzog Lab. Welcome to the group, we are glad to have you as members. May 14, 2014 - Nanogap - Successful on first try, ~10 nm gap! Great work Stephen and Desalegn! May 7, 2014 - End of Year Lunch! - Today the Herzog Lab went out for lunch to celebrate a successful school year. May 1, 2014 - Self-Aligned and test Patterns by Stephen and Desalegn - (Top Left) Alignment marks with first lithography step patterned with Cr-oxide layer ready to create nanogaps. 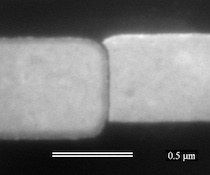 (Bottom) Test patterns of 100 nm wide nanowires with variable spacing. The wires merge into one thicker wire as the spacing decreases. 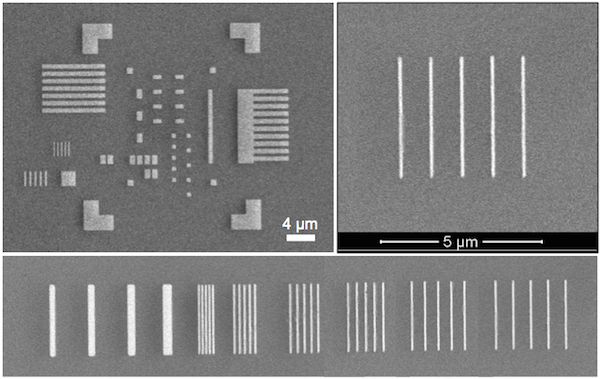 This tests the spacing limit for such nanowires. 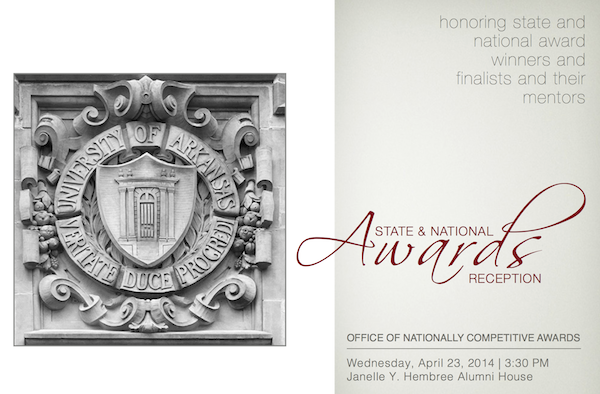 April 23, 2014 - Group members honored at 2014 State and National Awards Ceremony - Congrats to all on the hard work! April 16, 2014 - Article on Mishler's Goldwater honor - Jonathan Mishler recognized by the University of Arkansas for his Goldwater Honorable mention achievement in local news article. As a native of Texas, Jonathan was selected for this honor from a pool of all STEM applicants who are also natives of Texas. April 7, 2014 - Herzog awarded his 2nd Mentor Award! - Dr. Herzog awarded his second Mentor Award from the Honors College for helping students write successful grant proposals and for his research mentoring efforts. April 4, 2014 - Abraham's preliminary models - Gabi Abraham's preliminary models of Branched ZnO Crystallites - keep up the good work! April 4, 2014 - Abraham accepted into the SRI International REU program! - Gabi Abraham has been selected as finalist for the SRI International REU program and has been offered to work there this summer in the Materials Research Laboratory - Wonderful news! April 2, 2014 - Abraham selected and NanoJapan Finalist! - Gabi Abraham has been acknowledged by Rice University NanoJapan: International Research Experience for Undergraduates Program and selected as finalists for NanoJapan 2014. Great job! March 24-28, 2014 - spring break - We Hope all students have a safe and relaxing break. March 20, 2014 - Mishler recognized as Goldwater Honorable Mention - Jonathan Mishler recognized on the national level by the Barry Goldwater Foundation and trustees for his scholarship and honors thesis research project. Excellent work - We are proud of you! March 15, 2014 - Hill awarded Honor College Research Grant - Avery Hill awarded Honor College Research Grant, titled Computational Electromagnetic Analysis of Plasmonic Nanogap Arrays. Congrats on all of the hard work, you deserve it! March 11, 2014 - Mishler completes honors thesis proposal - Jonathan Mishler submits honors thesis proposal; good job! March 3-4, 2014 - Mardi Gras snow days - Classes canceled, University closed, user facilities shut down :/ Looking forward to having a full week of lab time with students. Mar 3 (closed all day), Mar 4 (half day). February 27, 2014 - Herzog Awarded Mentor Award! - Dr. Herzog awarded Honors College Mentor Award for helping students write successful grant proposals and research mentoring efforts. February 25, 2014 - Initial CEM results - Avery completes preliminary computational electromagnetic model of enhanced field in gap. Click here to see complete animated model. February 24, 2014 - Research featured in MRS Bulletin - Herzog et al.’s research featured in Material Research Society (MRS) Bulletin in a article titled: Nanogaps for SERS applications. Feb 21, 2014 - Initial EBL tests - Stephen and Desalegn complete Electron Beam Lithography (EBL) test patterns from left to right: HerzogLab (HL), 2 micron squares, and a Mirco-Razorback! Feb 4 (closed all day), Feb 3 & 5 (half day). January 7, 2014 - Lab construction begins - Lab construction, which consists of hanging shelves above the optical tables and installing electrical outlets and lights, begins. Dec 9 (closed all day), Dec 10-11 (half days). Dec 6-7 (closed all day), Dec 5 (half day). December 4, 2013 - Mishler awarded SURF award! - Jonathan Mishler awarded Student Undergraduate Research Fellowship (SURF) for his research. Congrats! November 4, 2013 - Industrial Advisory Committee - Stephen Bauman presents work to microEP Industrial Advisory Committee. October 30, 2013 - Abraham and Saylor join group - Two more undergraduates have joined the group: Sophomore Gabrielle Abraham and Junior Cameron Saylor. Both plan to enroll for research credit with J. B. Herzog starting in the Spring (2014). October 21-23, 2013 - Surface Plasmon Workshop - Rice University - Dr. Herzog presented at the ARO Workshop on Surface Plasmons, Metamaterials, and Catalysis at Rice University in Houston, TX. Experts in the field of plasmonics from across the nation were in attendance. This was a very informative workshop. August 26, 2013 - Debu joins group - Desalegn Debu, 2nd year Physics Graduate Student, joins the Lab. We are glad to have you! August 18, 2013 - French joins group - David French, Physics Graduate Student, joins the Herzog Group. Welcome aboard! August 12, 2013 - Bauman joins group - Stephen Bauman, 1st year Graduate Student, joins the Herzog Lab. We are happy you chose our team! August 5, 2013 - Blaylock joins group - J. Blaylock, 1st year microEP Graduate Student, is the first student to join the Herzog Research Group. We are now officially a group! August 1, 2013 - Lab begins! - J. B. Herzog starts at the University of Arkansas. I am happy to be hear. This is a great place to work!